It is my great pleasure to welcome you to the our new CFC website. To brief you on the company's business and history, In order for me to effectively summarize the company milestones; I shall start with our infamous slogan "INITIATED THE CONCEPT AND PIONEERED THE SERVICE". 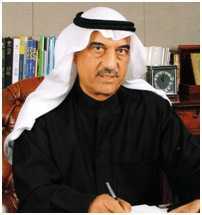 CFC started its operations in January 1978 as the first specialized company in consumer finances in the State of Kuwait. CFC finances the purchase of durable consumer goods such as cars, furniture, electrical and marine equipments through installment credit facilities. CFC also grants personal cash loans to fulfill other personal financial needs. CFC was initiated with a starting capital of KD 3.8 million (US$ 12.7 million), magnifying towards and reaching KD 53.68 million ($US 195.2 million). CFC played a significant role in the development of the automobile financing industry. To-date we have financed more than 891,000 customers.